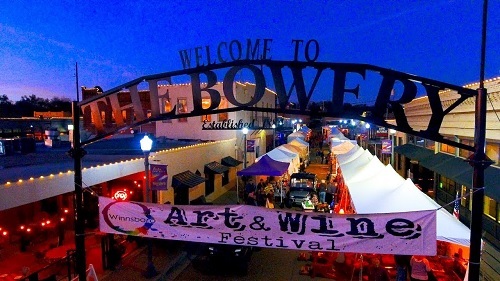 This Friday-Saturday artist marketplace in November each year is Winnsboro’s cultural highlight event of the year. The artists are selected through a jury process so only the finest variety of artists will be in attendance. Elm, Market and Franklin Streets are closed to traffic and lined with white tents housing a variety of art that ranges from traditional to abstract, painting to pottery, glass to silk. For more than 60 years Autumn Trails has been an annual event in Winnsboro. It is the longest annual event in Winnsboro’s history. The celebration lasts throughout the month of October. Every weekend is filled with events from Arts & Crafts, cook-offs, barrel racing, trail rides, golf tournament, livestock show and more. 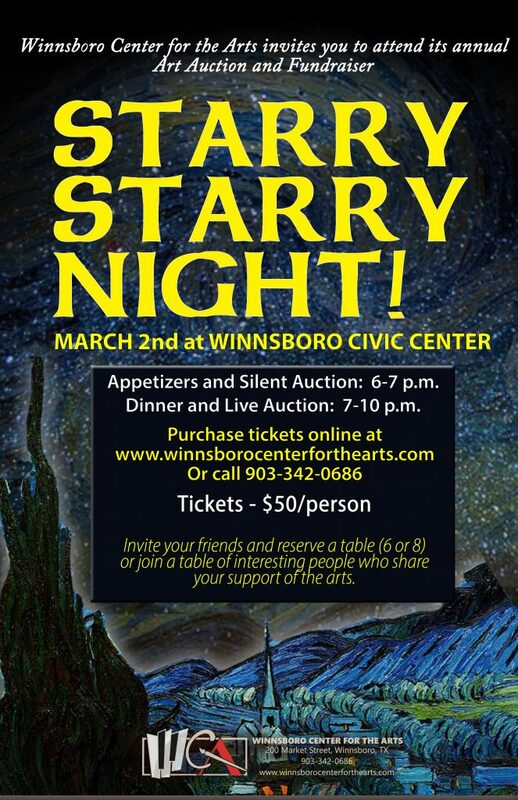 This event is the Winnsboro Center for the Arts annual fundraiser. The venue includes original art from both amateur and professional artists. Mark your calendar for March 2, 2019. Event starts at 6 pm with appetizers and a Silent Auction. The evening continues with dinner and live auction at 7 pm. A live auction includes donated services and items from the East Texas area all the way to Dallas. 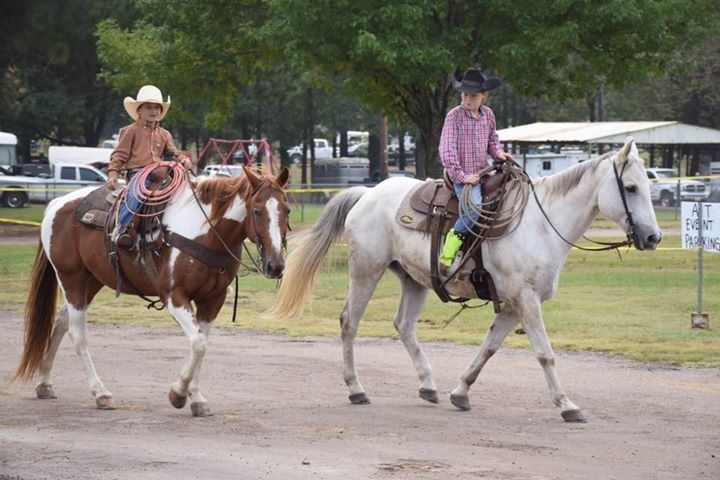 There are currently two rodeos a year in Winnsboro. The Spring event is the third weekend in May and brings contestants from around the world. 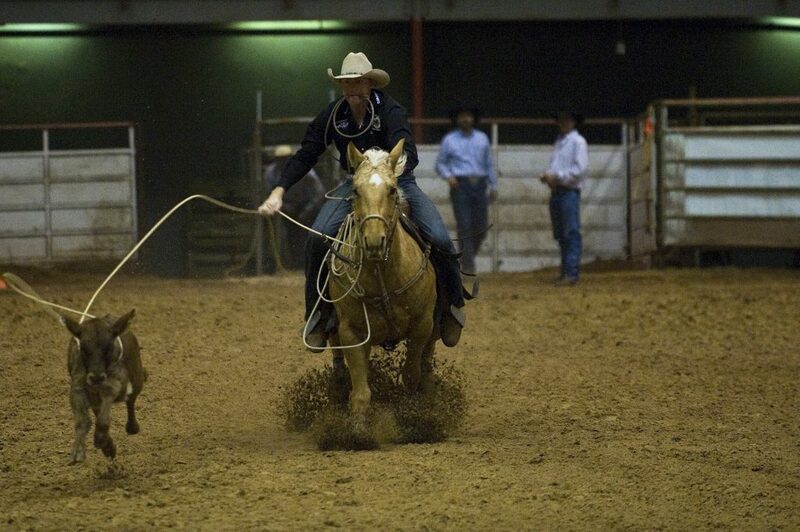 The rodeo’s are held at the Winnsboro Rodeo Grounds and include bull riding, calf roping, steer wrestling, barrel racing and much more. 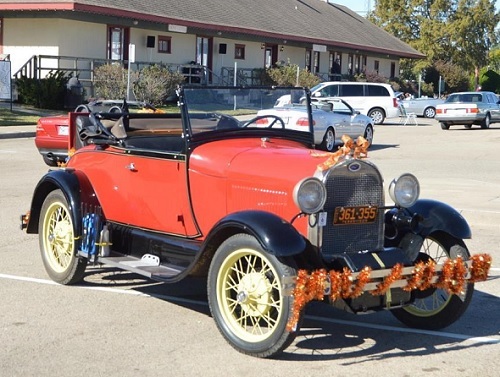 A major attraction during the Autumn Trails month is the Antique Car and Parade and Model T Tour. The parade historically has well over 150 cars participating. The preservation of these antique cars and the variety makes it one of the largest antique car shows in the Southwest. The Friends of the Winnsboro Animal Shelter is a 501c3 non profit organization that supports the Winnsboro Animal Shelter. 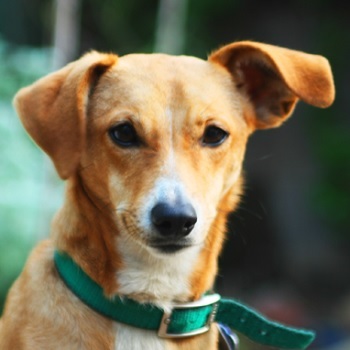 Each year they hold a Casino Night to raise funds for this worthy cause. Participants enjoy gaming, appetizers and a silent auction. The Winnsboro Farmers’ Market brings producers of locally grown food, hand made, and home baked products together with discerning shoppers, to enhance the local economy and foster community relationships. The Market is open from April through October every Saturday from 8:00 am to Noon. 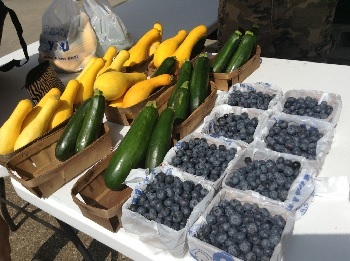 Locally grown produce and agricultural items are sold. Wellapalooza is a collaboration of the Winnsboro Wellness Coalition & the Winnsboro Farmers’ Market. The event is used to highlight the vast array of wellness, nutrition, and fitness opportunities to be found in our little town. Enjoy live cooking demos, which utilize fresh market products, to create healthy & delicious meals. Fitness sessions are also scheduled throughout the day. Relax with a calming stretch routine, or get your heart pumping with local Zumba & Bootcamp instructors. Feeling really adventurous? 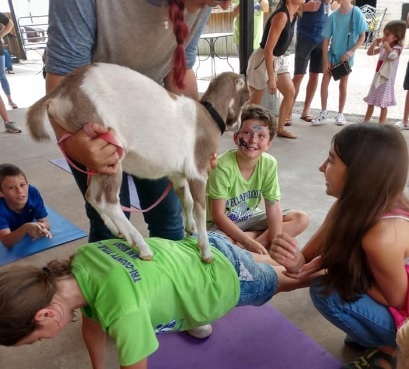 Goat yoga may be the thing for you! Wellapalooza is fun for the whole family! This event takes place in downtown Winnsboro at the historic Train Depot. 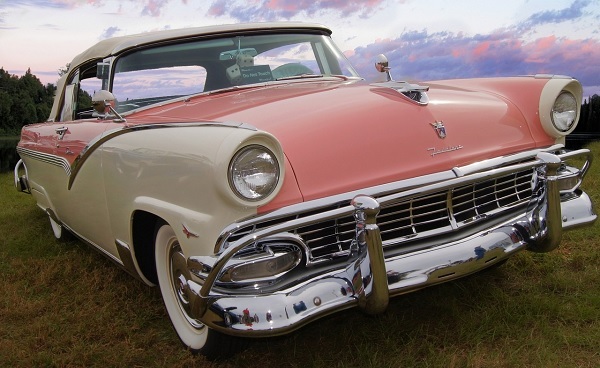 Cruise into Winnsboro on Labor Day weekend and enjoy classic cars, music, shopping and food!